I like this place because they give you a lot of meat and sandwich toppings. More than most of the others places that a deli focused. I am all for self expression, having to look at the 2 girls working there with septum nose rings is unappetizing. If your a WOMAN Stay Away! Don't waste your money, time or appetite on this place. Employees are RUDE, food is OVERPRICED and LOUSY. First and last visit. Want a great sub in Hendersonville go to Jimmy Johns or Firehouse Subs. 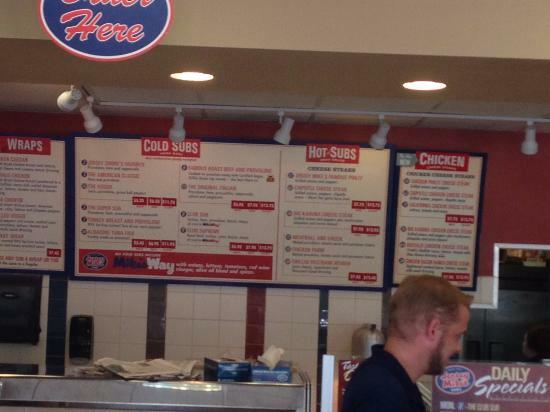 Both are great and feel gourmet compared to Jersey Mikes!!!!! 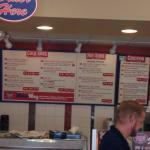 Get quick answers from Jersey Mike's Subs staff and past visitors.